I'm located in Schaumburg, IL. Here is an imgur album with a lot of pictures. If you need any addition pictured just ask. 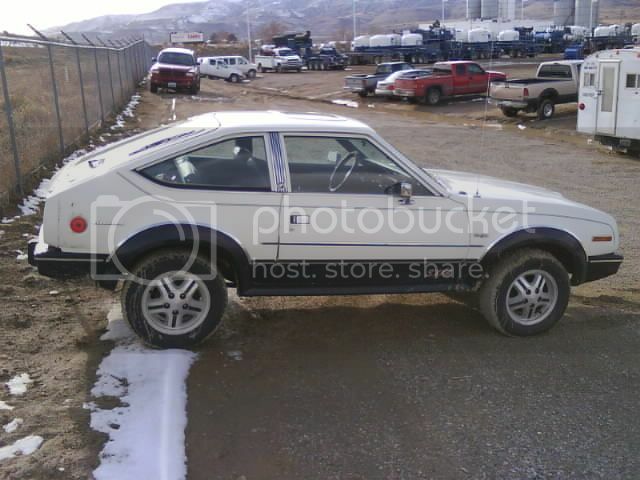 Up for sale is a beautiful, excellently maintained 1982 AMC Eagle. It is a 4 wheel drive 4 door sedan with automatic transmission, power steering & power brakes. 44,100 original miles, garaged kept & the frame is completely rust free. Buyer is responsible for all shipping fees, local pickup is available and free. Thanks for looking & Happy New Year! No problem give me a shout in the spring. this is a pretty nice car. It is a long way from home and I am deployed right now, I am curious how much it would cost me to ship. I am going to get a quote from UShip. I JUST TELL MY WIFE "SOME PEOPLE COLLECT STAMPS"
Do you happen to still have the sedan for sale? The seller hasn't logged into this site for over two years. Best bet would be to contact him via the email address in the first post. Good luck!! Van.... Lets see some pics of Pepe... My future new car. Here are some links to threads about Pepe over the years, with some pictures included. Kammbacks are hard to come by, keep your eyes open they are worth the effort to find them.